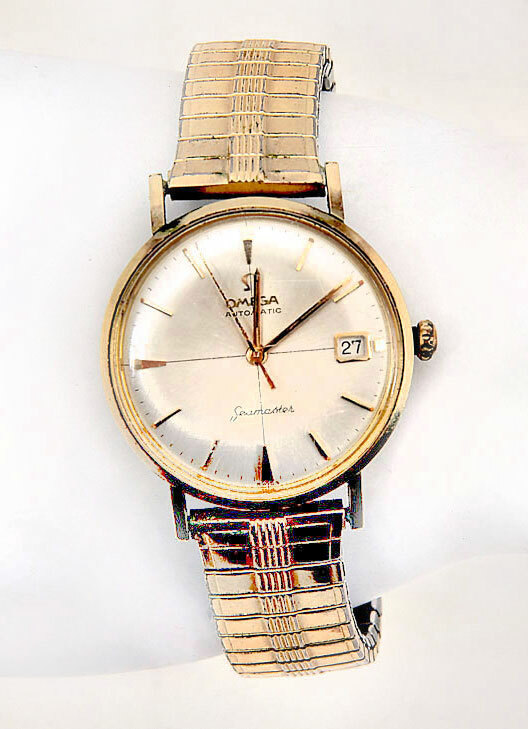 GENTS OMEGA SEAMASTER BRACELET WATCH: OMEGA - a gentleman's Seamaster bracelet watch. Gold plated case with stainless steel case back. Reference 18842085. 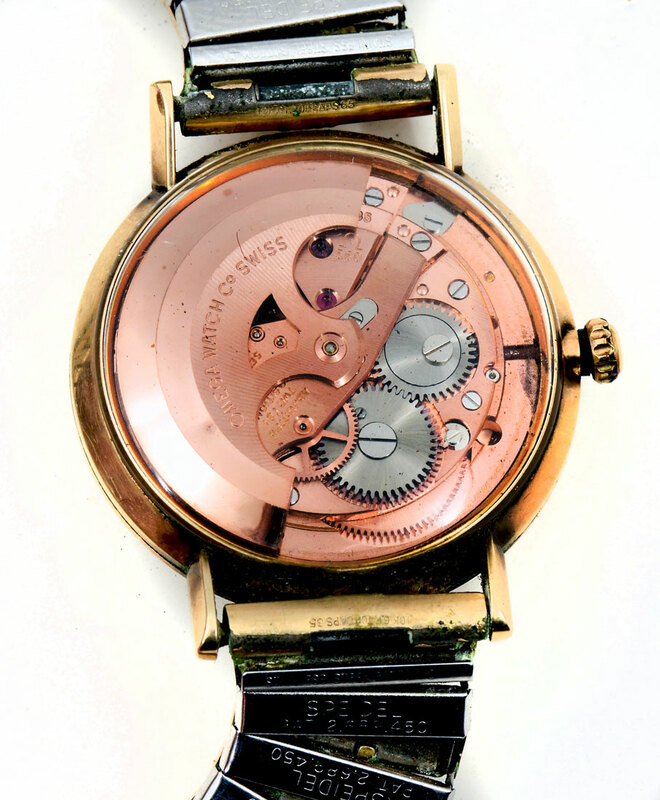 Champagne dial with baton hour markers, day and date aperture to three. Clear case back. CONDITION: Crystal, crown, bezel bracelet all show signs of wear including scratches and wearing of the gold plate. Currently running. Not guaranteed to continue running or keep accurate time.